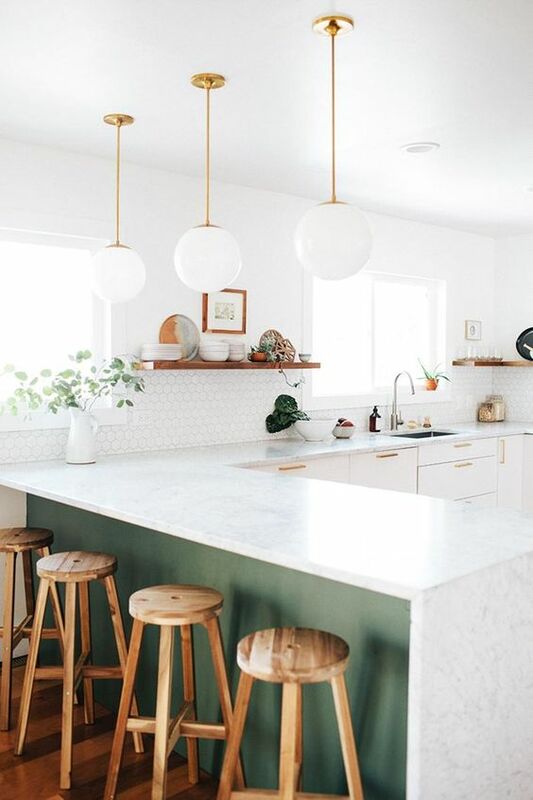 There are many kitchen decor trends popping up: two-toned kitchens, concrete backsplashes, butcher block countertops, penny tiles and soon. 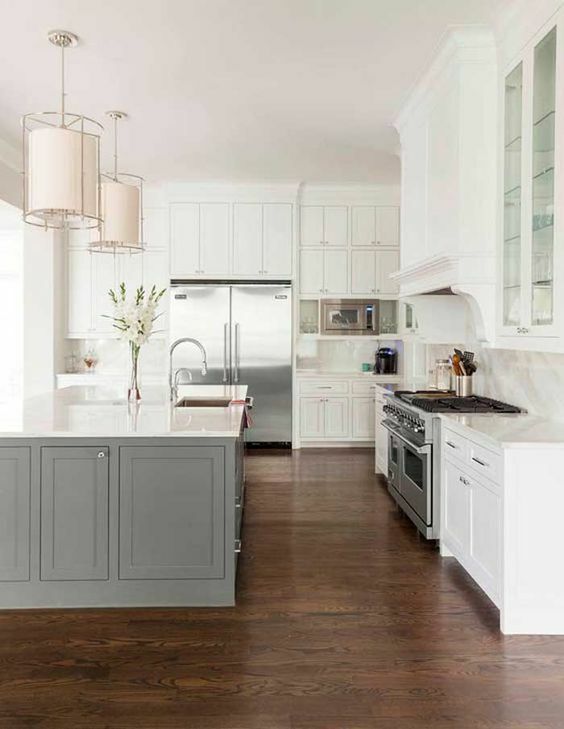 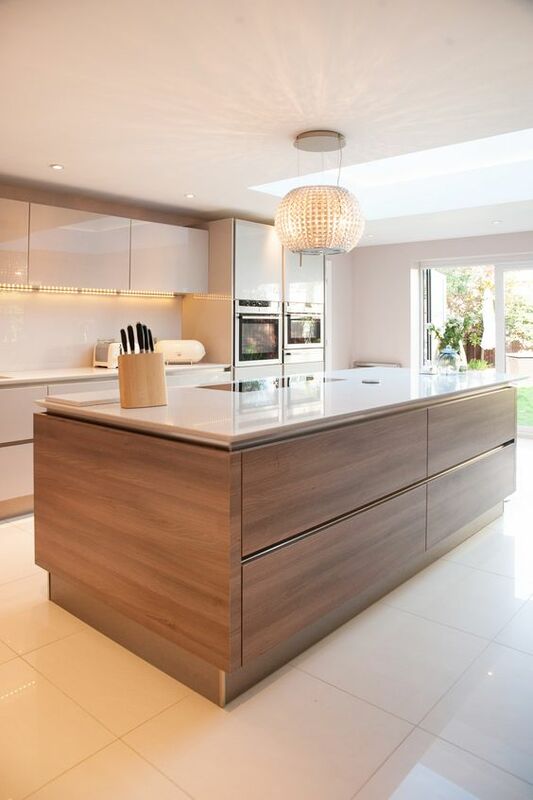 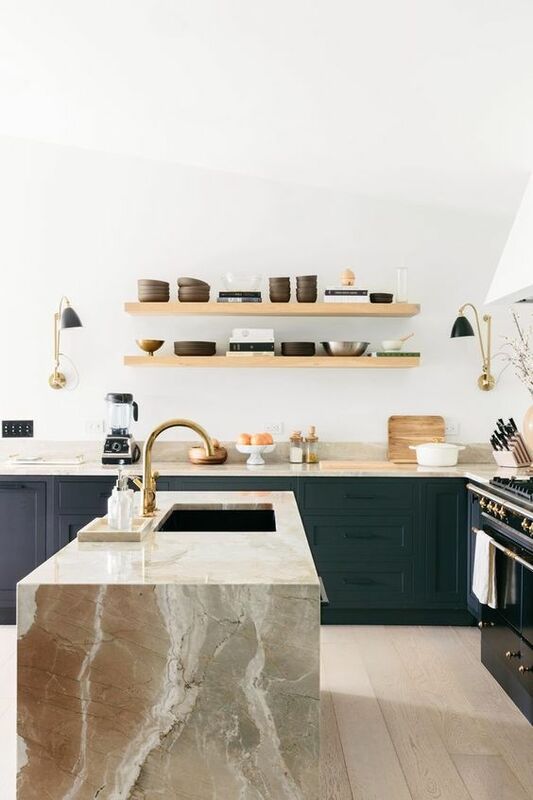 Need more trends for a fashion-forward kitchen? 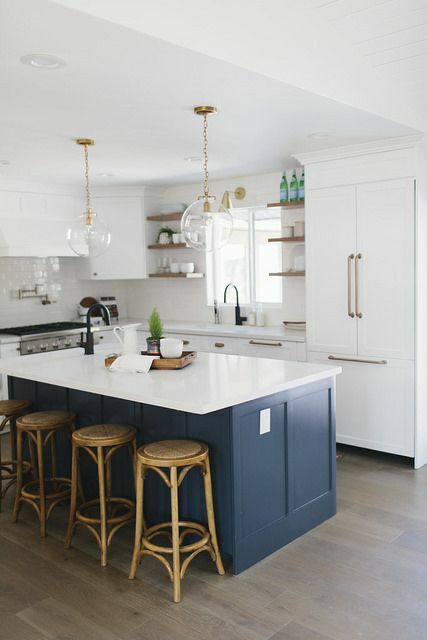 Today we are considering one more cool trend, these are contrasting kitchen islands. 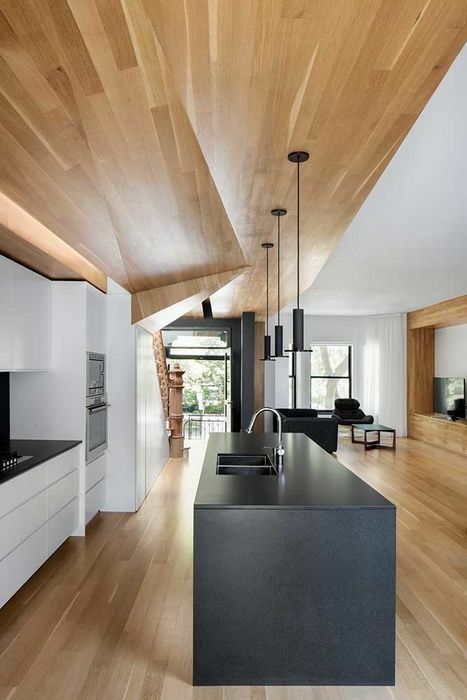 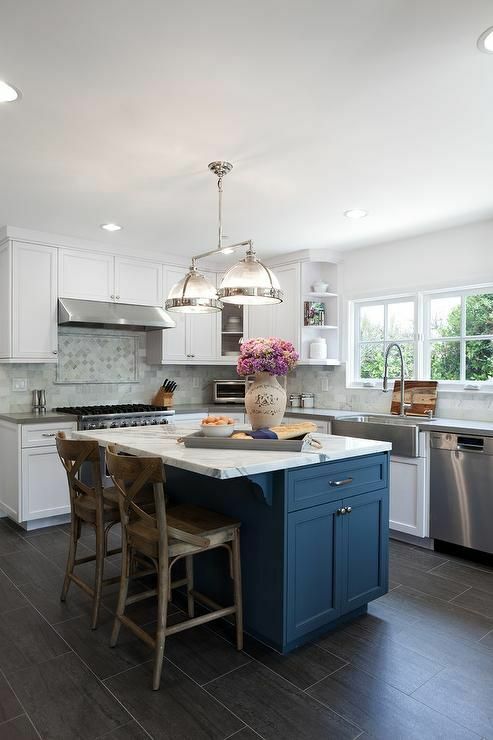 A contrasting kitchen island means that the island will differ from the cabinets. 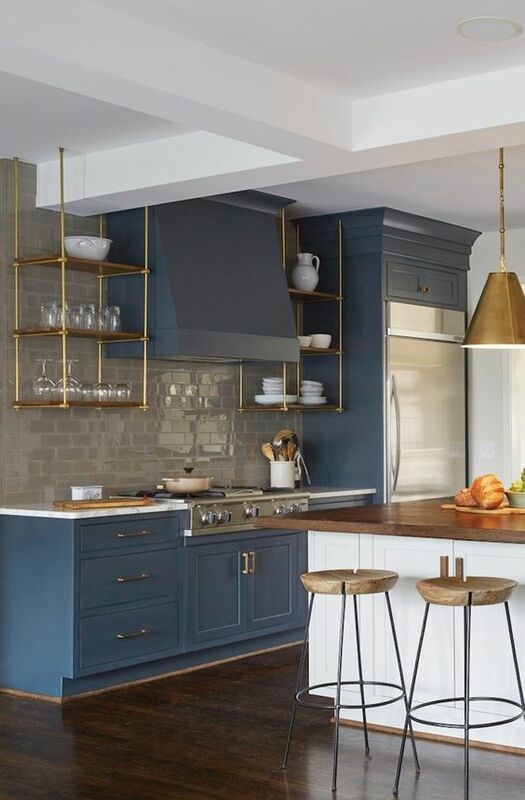 The piece is usually of the same style as your cabinets but it looks absolutely different, and it can make a statement with its color or decor. 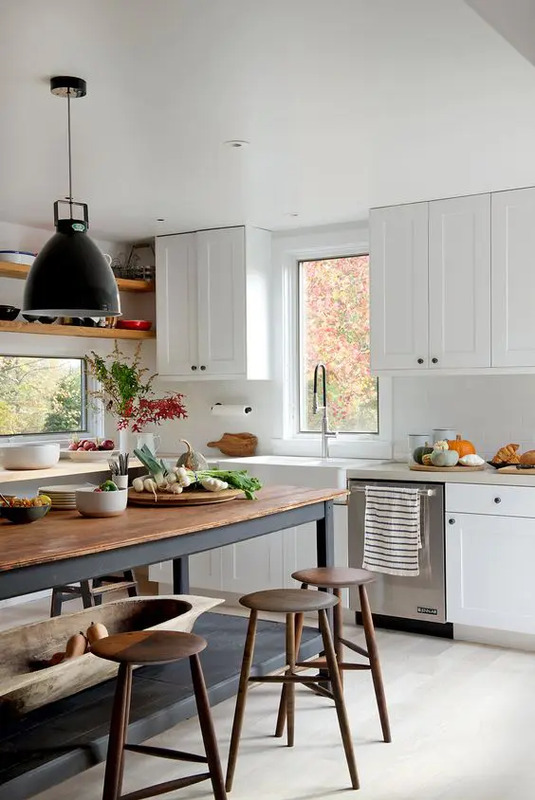 You can tie it up with the cabinets using the same countertops or at least those of the same material. 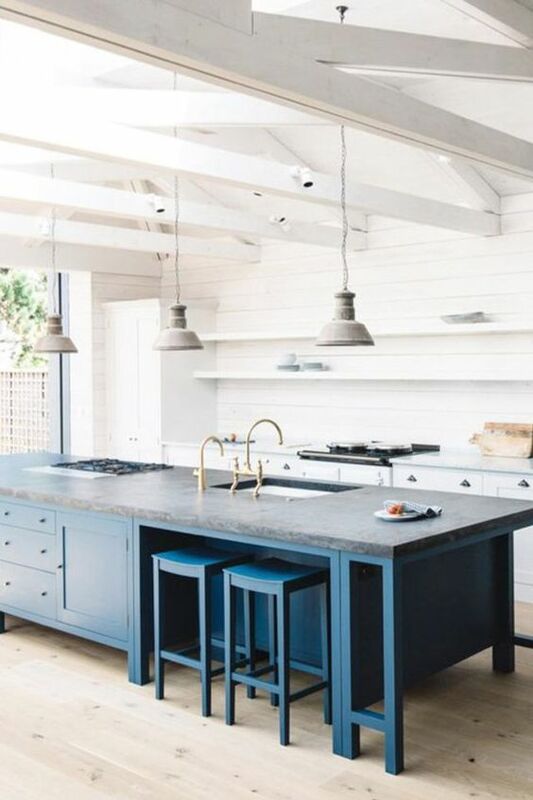 Let’s take a look at some inspiring ideas! 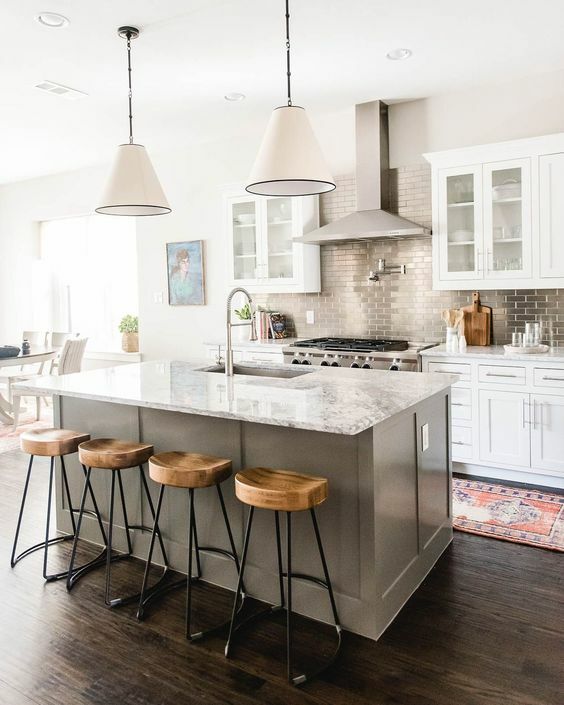 A totally different kitchen island is a nice idea for making a bold statement – with style, with materials, with colors, with all of them together. 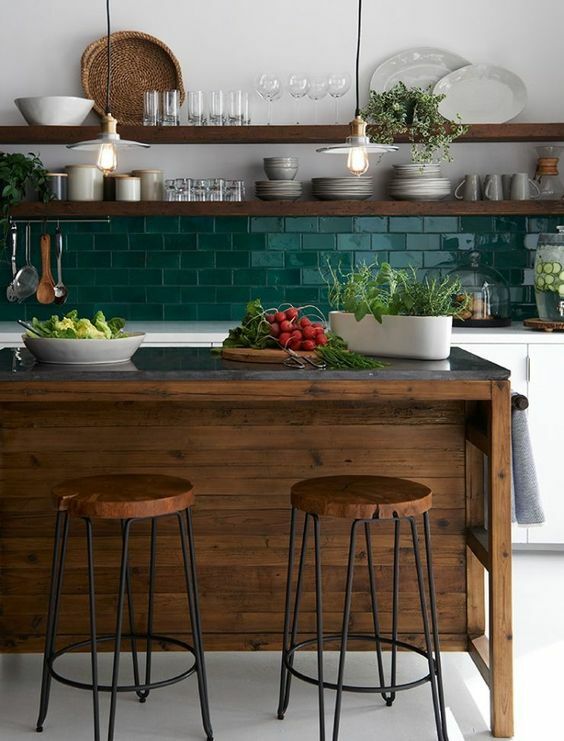 It can be also used to add a touch of a different style to your kitchen decor. 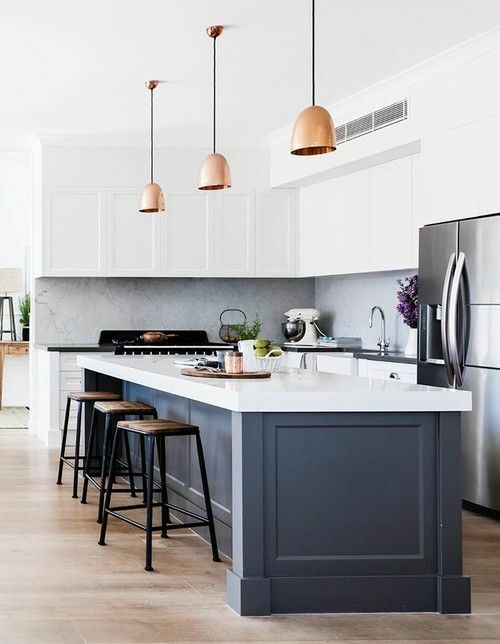 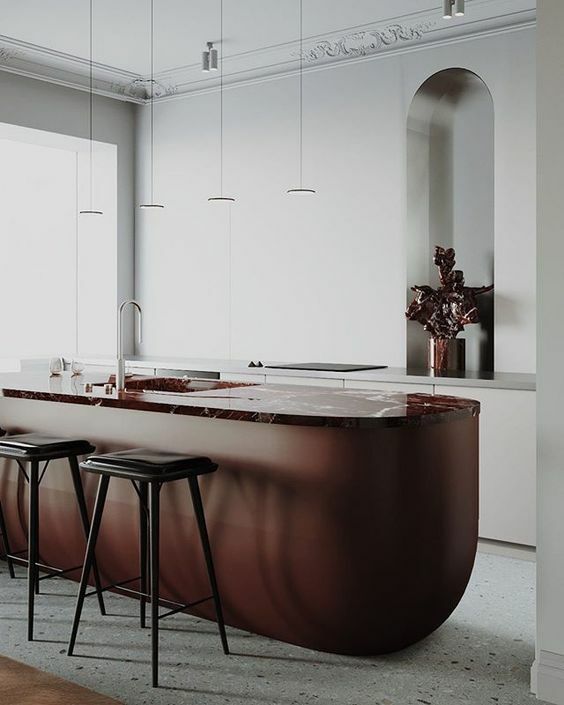 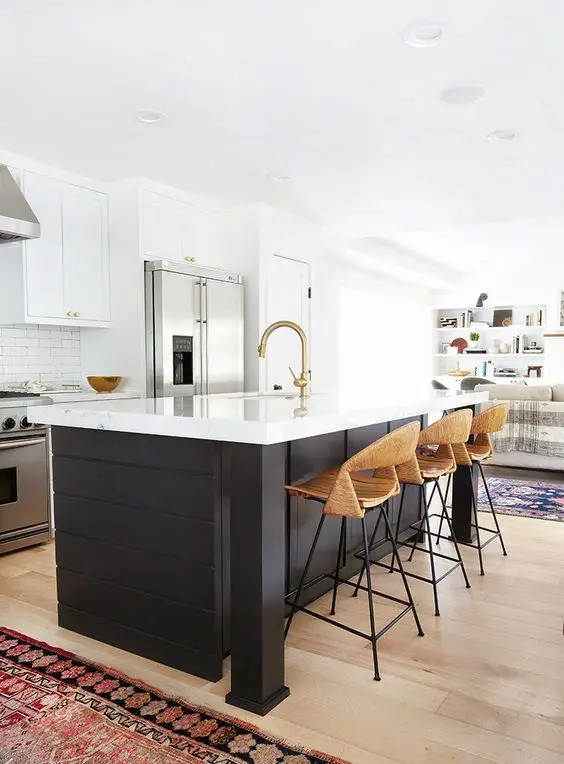 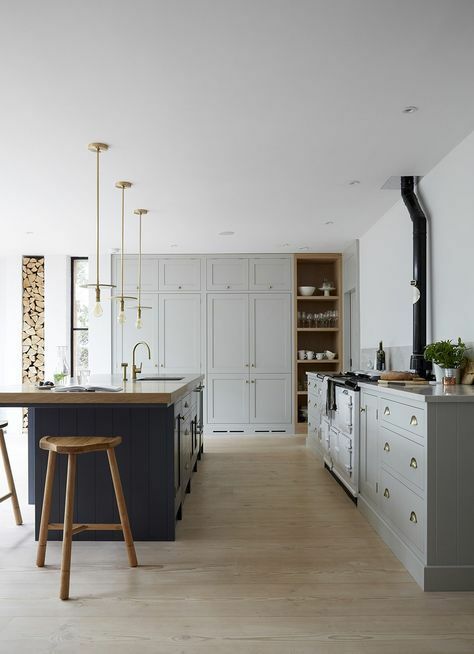 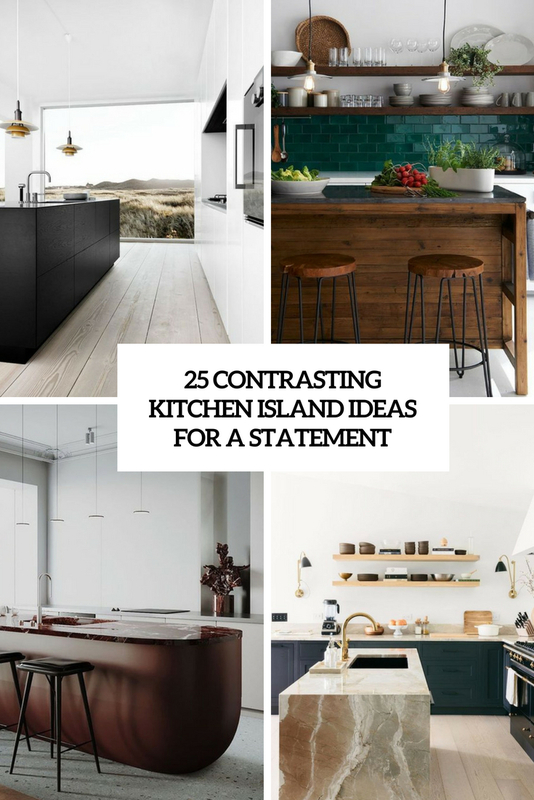 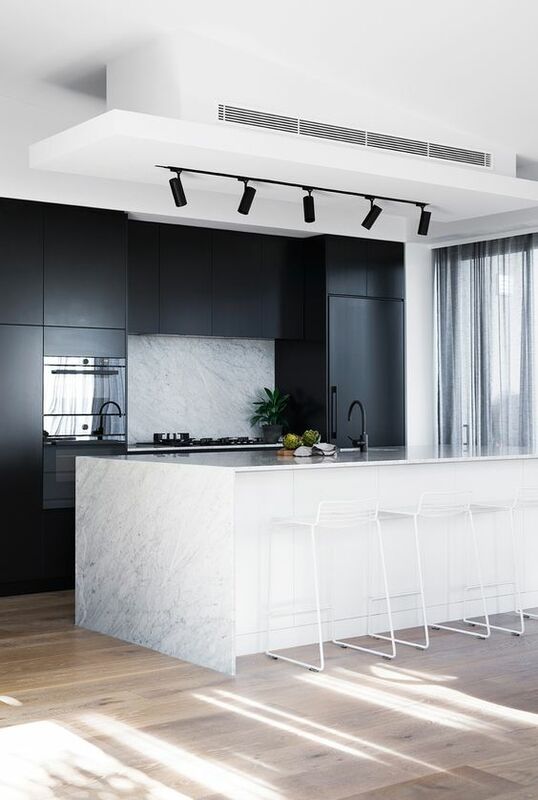 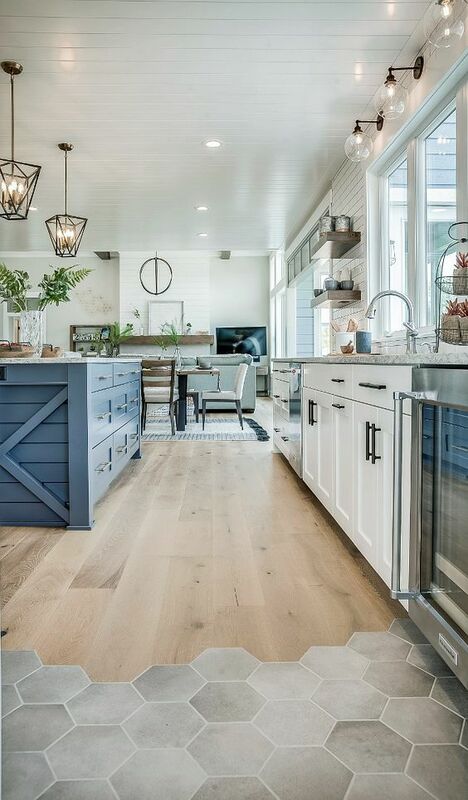 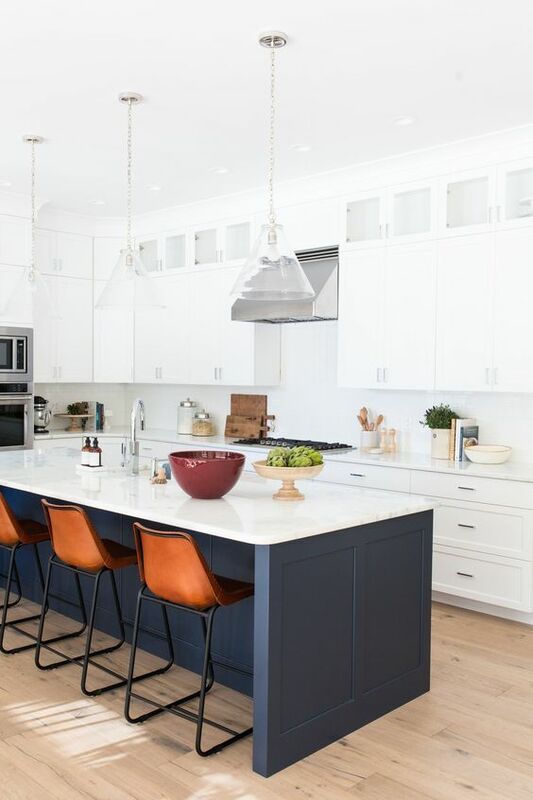 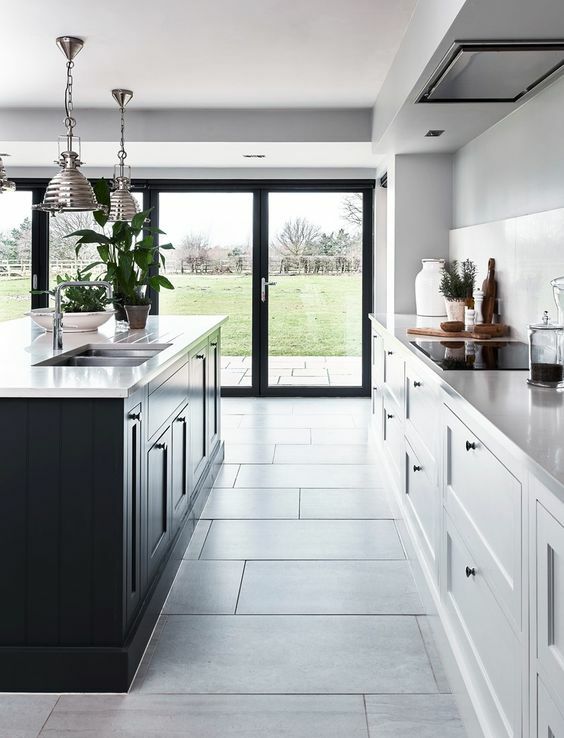 It may be a bold stone and metal kitchen island in a minimalist kitchen, it can be a rustic stained wood kitchen island in a contemporary space or a statement stone kitchen island in a kitchen with wooden cabinets. 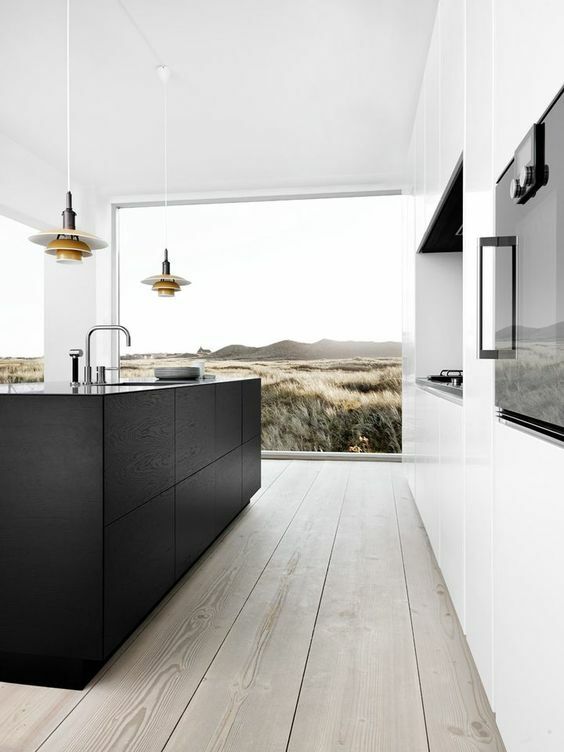 Such a solution always guarantees that your kitchen won’t be boring. 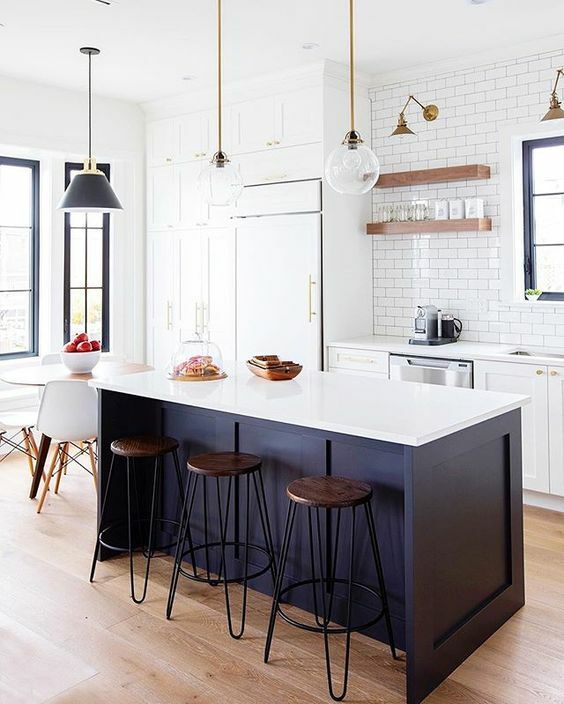 A contrasting kitchen island may be tied to your kitchen cabinets to create a stylish unified look. 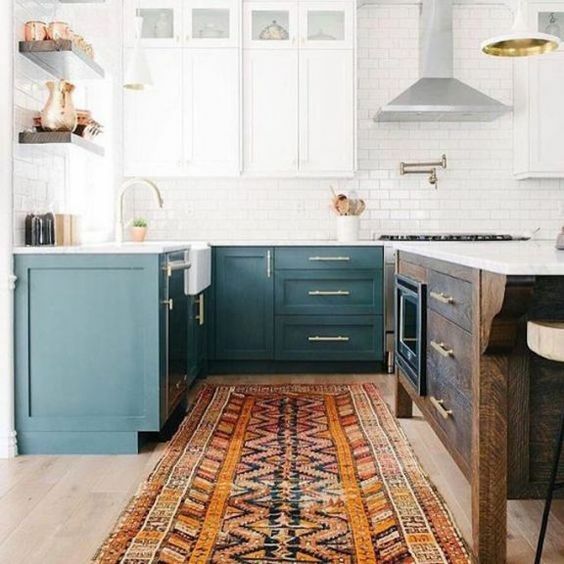 The most popular idea is ordering a kitchen island of the same look as the cabinets but of a different color, this is a great way to add a colorful touch to your space. 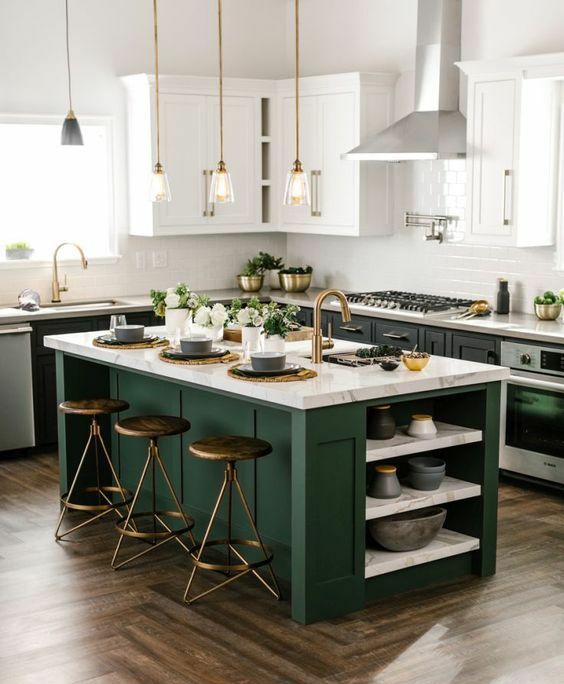 Another idea is rocking the same countertop as on the kitchen cabinets, it’s a cool and catchy way to create a bold look yet a bit unified one. 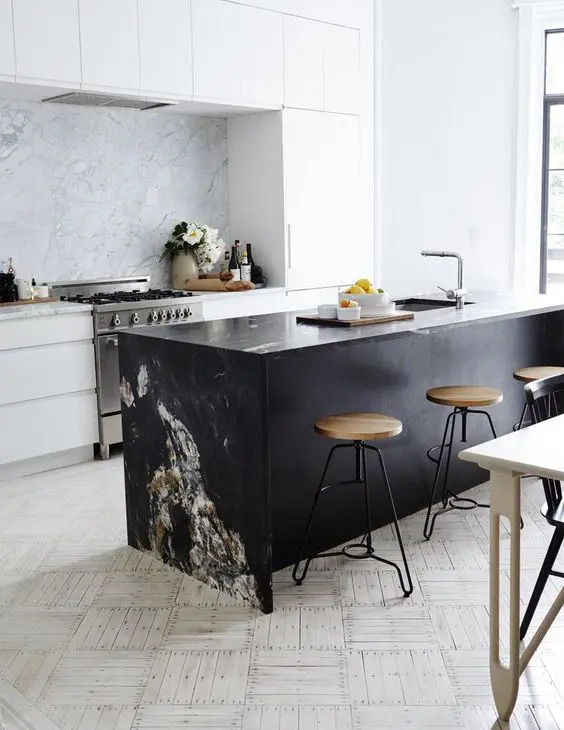 You may also use the same material for the countertop of the kitchen island and backsplash, it’s a more original way to tie up the piece with the rest of the space.